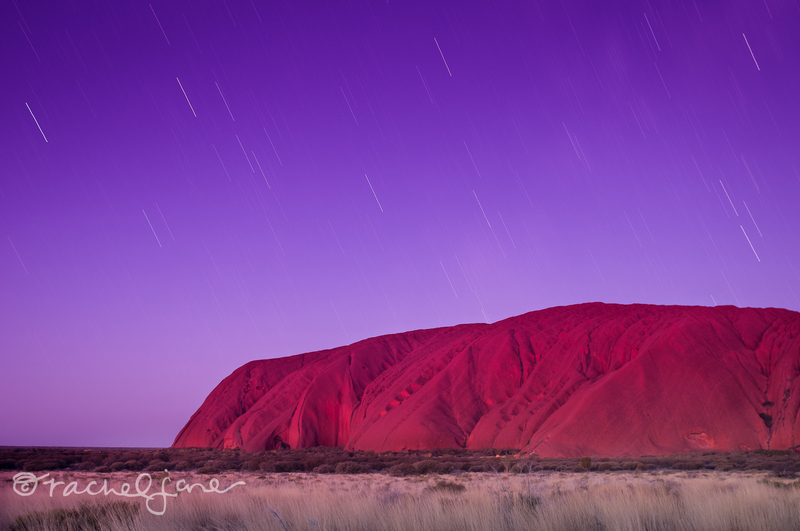 On our last night at Uluru – Kata Tjuta National Park I was feeling pretty tired and had a bunch of shots of Uluru. As Matt ventured out to take photos I stayed in our campervan parked on the side of the road. This night however, the light looked different. I decided to set up my tripod next to the door of the van so I could continue to lie on the bed, warm in my sleeping bag! This time I took some longer star trails just after sunset. 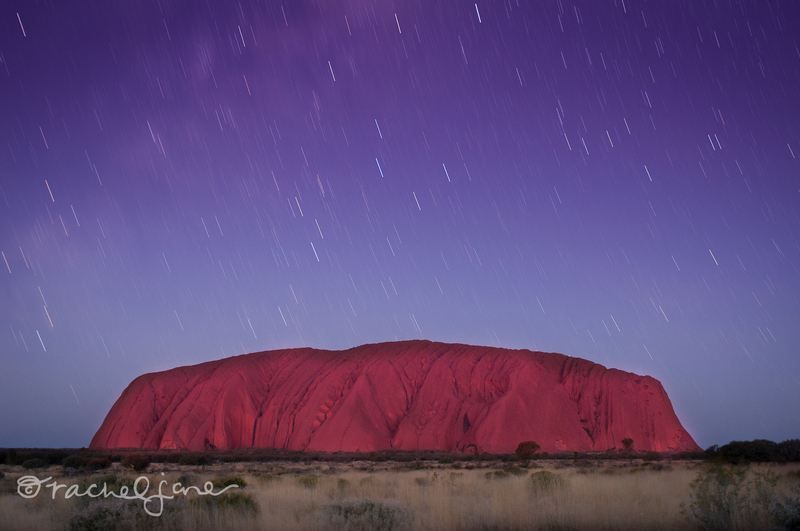 I am glad I did – Uluru looked just magic. 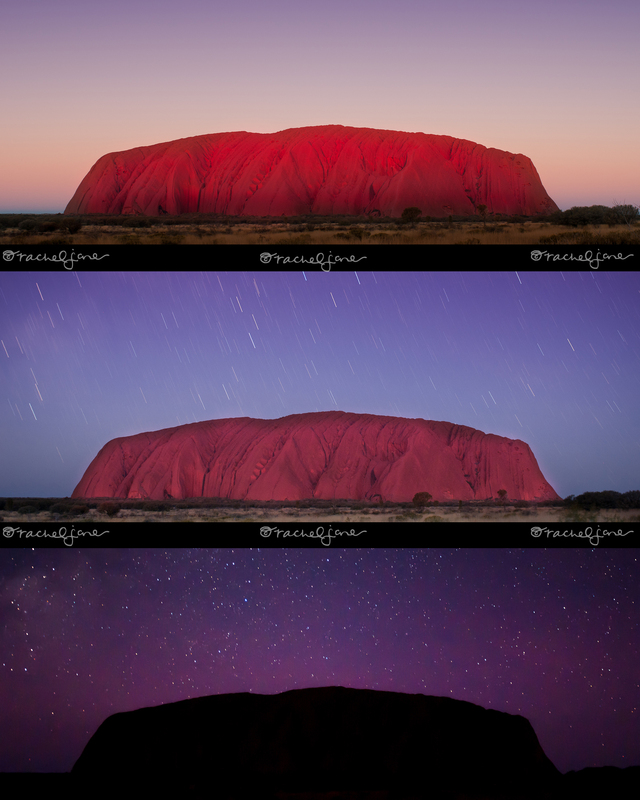 As the sun finally set at Uluru, the cold of the night began to set in. As everyone else got in their cars and made their way back to their campfires, Matt and I stayed to view the stars. We were the only ones there! 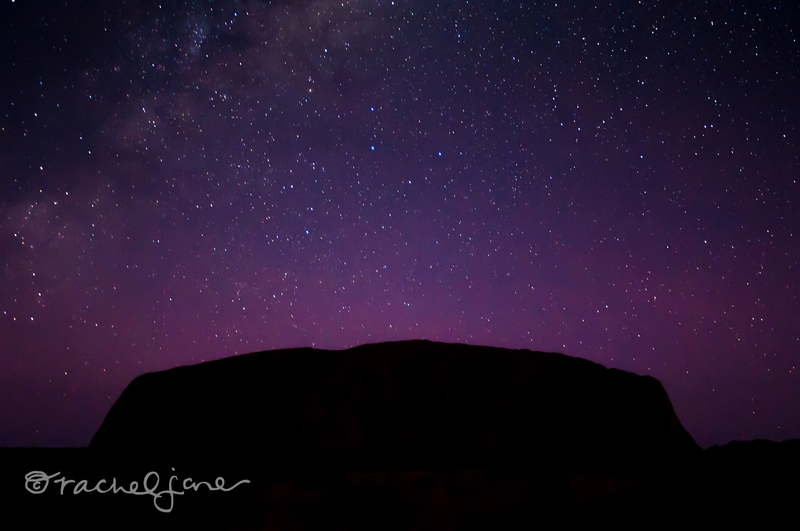 We stayed for an hour after sunset to capture Uluru in a different light – a light lit up by stars! Simply amazing. 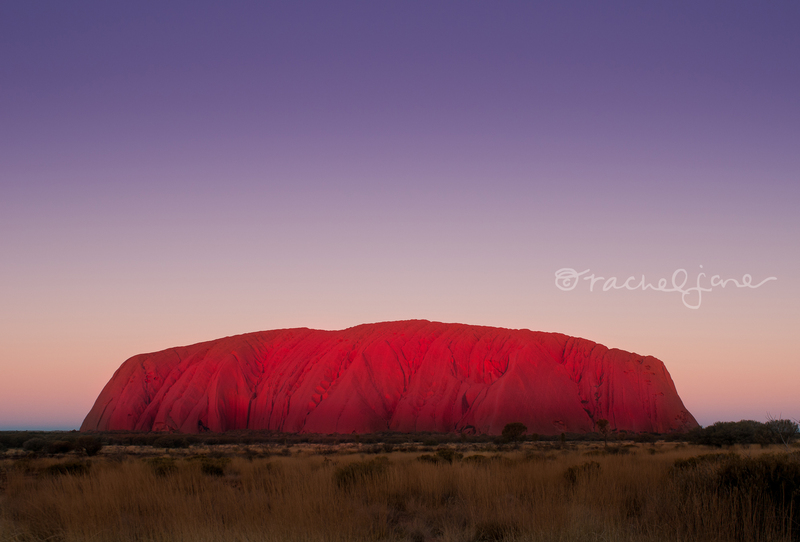 This shot was taken about half an hour after sunset, when there was still enough light around to light up the rock. As the park closing time approached, we quickly snapped a few last shots. By this time the light was well and truly gone and we were left with a lovely silhouette of the rock and the sky littered with stars! This was actually my first attempt at capturing stars and star trails. Can’t imagine a better place for a first time! 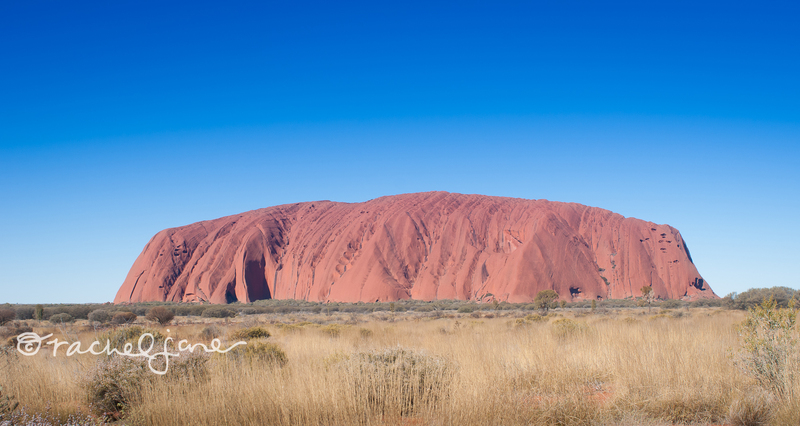 Recently my partner and I travelled to Central Australia to visit the outback and the stunning natural wonder that is Uluru. We were there for four days and each day we were up an hour and a half before sunrise to get our prime position to photograph the rock in the early morning light and we stayed in the park all day until after sunset. We were therefore able to get quite a range of shots. Over the next few posts I am going to share some of the beautiful shots I took at the Uluru – Kata Tjuta National Park. This first photo was from our first afternoon. Just a regular day and a regular sky – a classic shot!